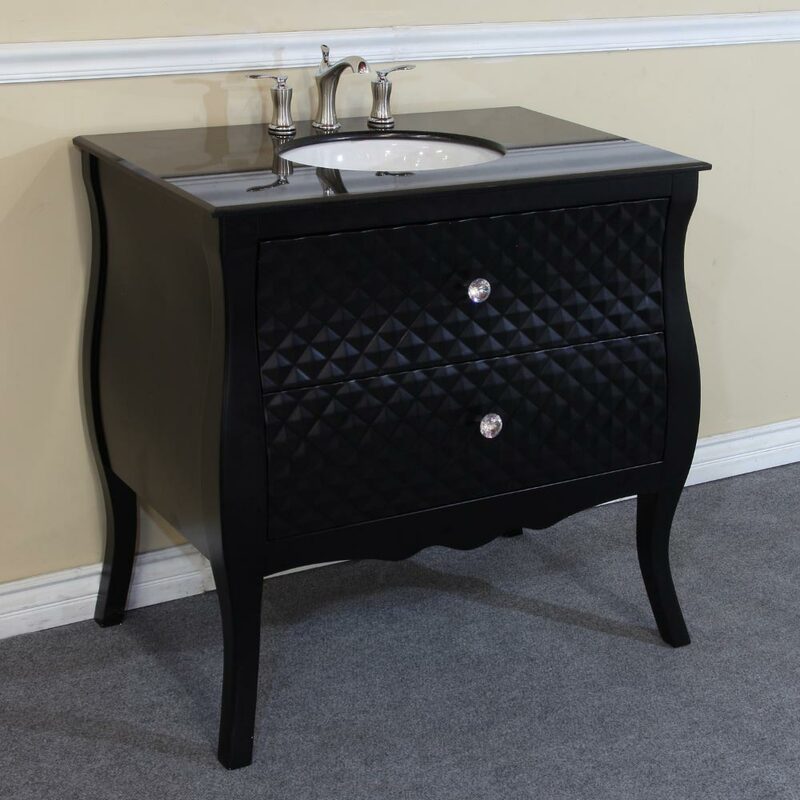 With its beveled diamond face, dark finish and sweeping curves, the Celle Single Vanity is a unique and gorgeous contemporary vanity. 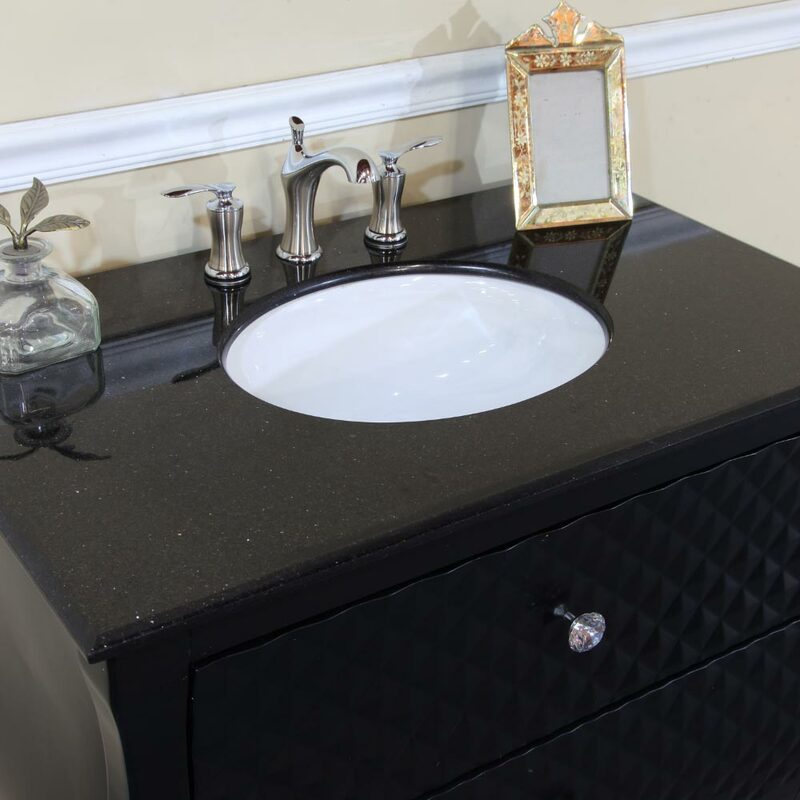 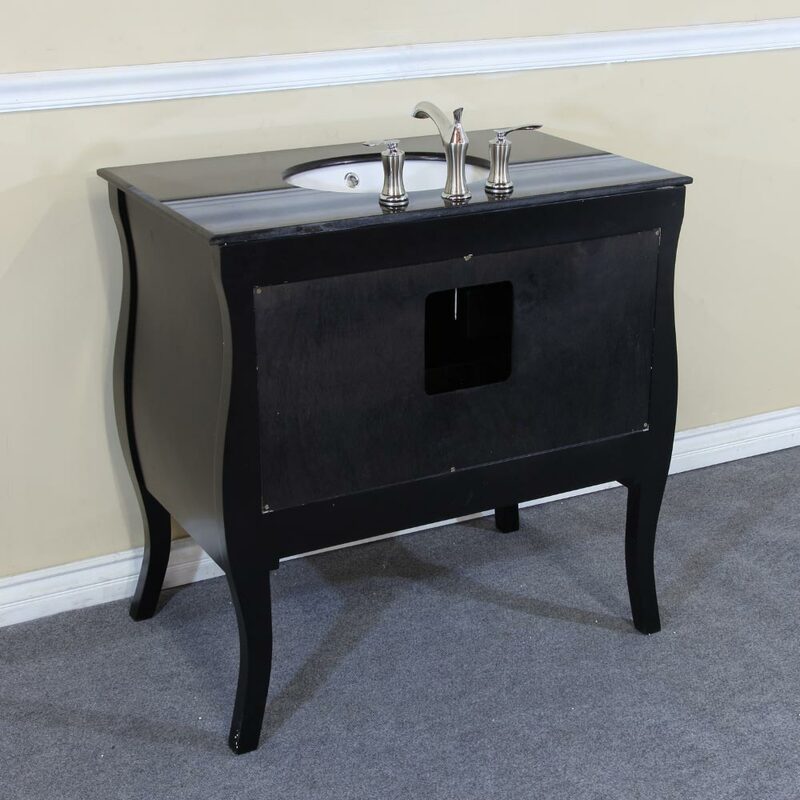 This vanity is both modern and elegant with its black granite counter top, curved legs and genuine crystal door knobs. 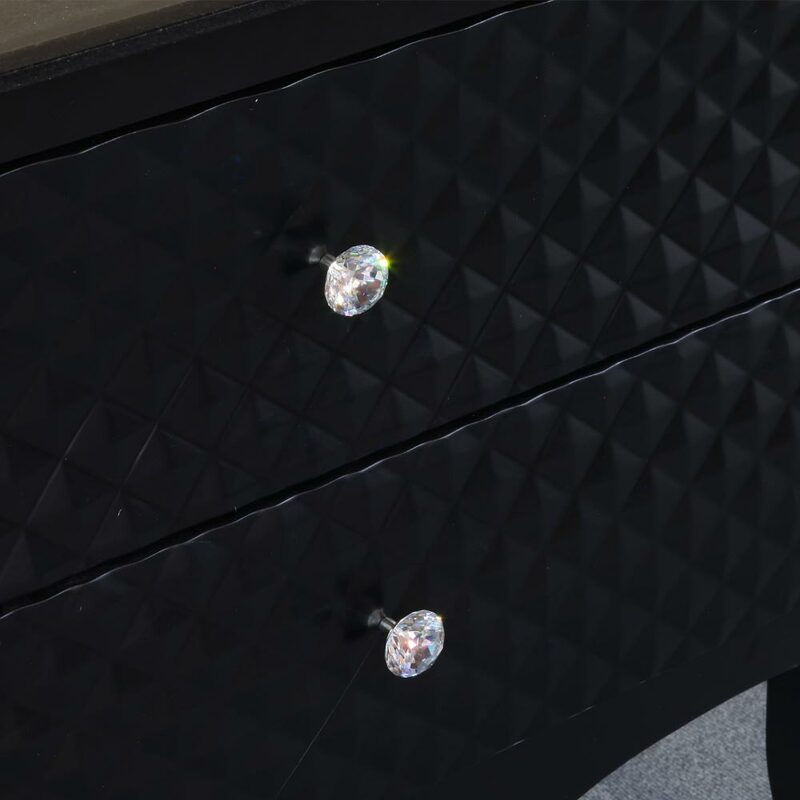 The cabinet is sturdily constructed from solid birch, and its black finish is water proof to protect it from water damage, ensuring its great looks will last. 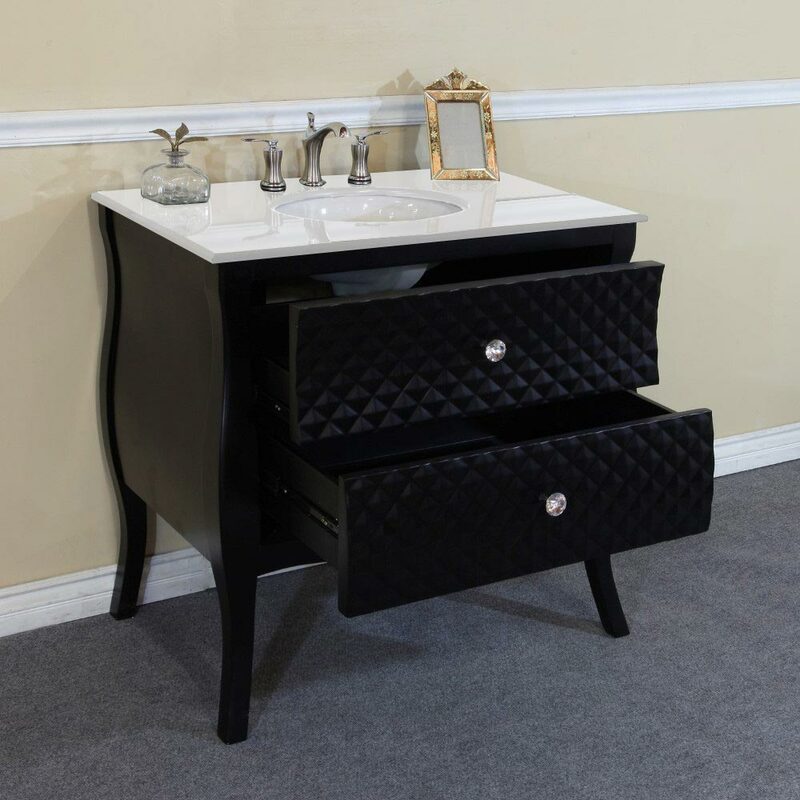 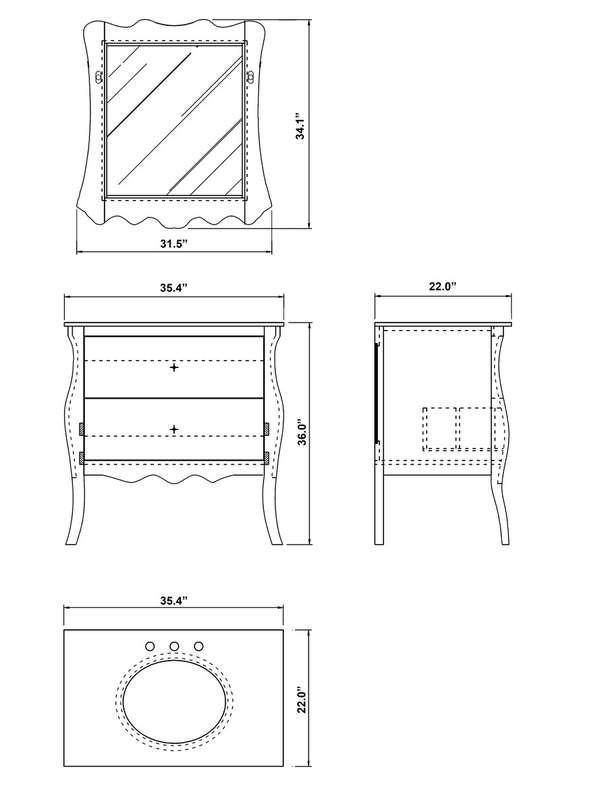 The vanity contains a single drawer that fully extends and features ball bearing glides for easy opening and closing. 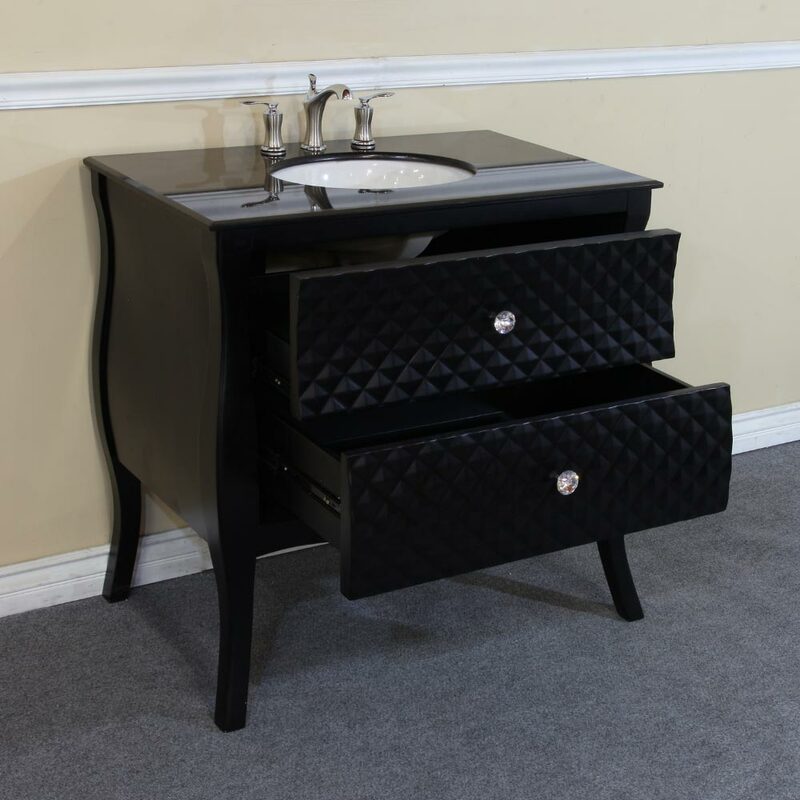 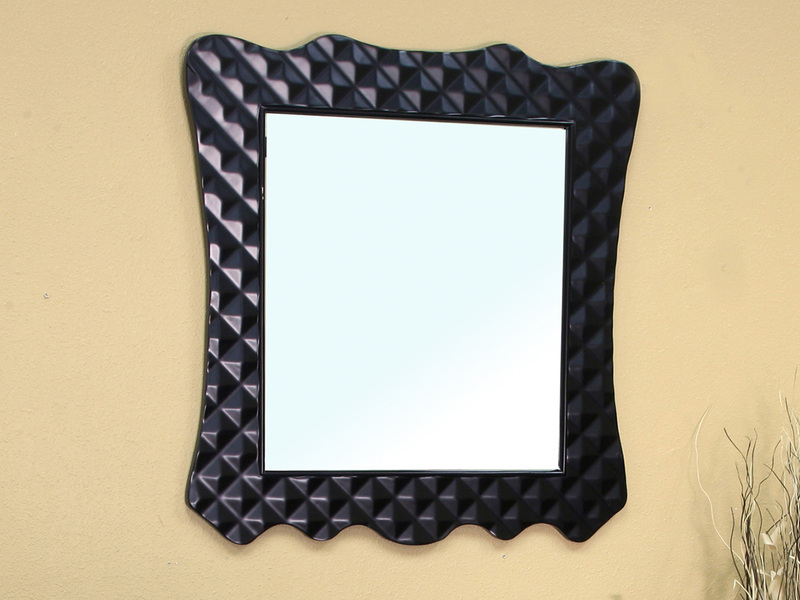 A mirror with a matching beveled diamond design is also available for this vanity to complete your bathroom's look.